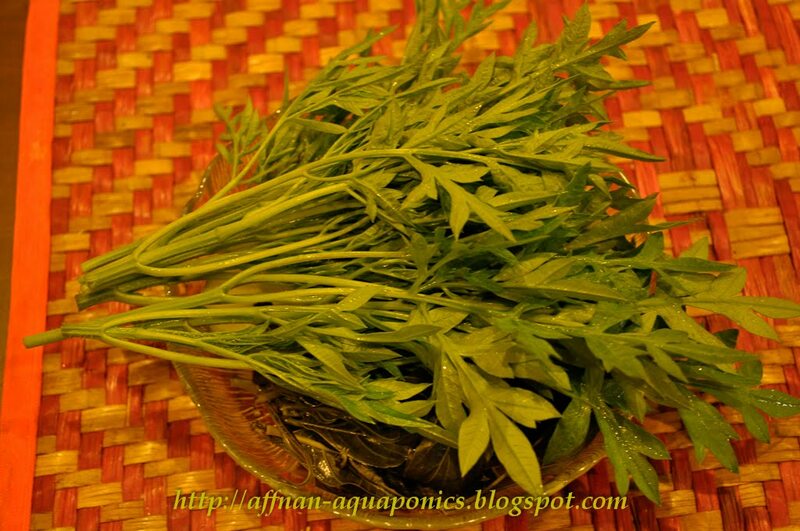 Ulam Raja (cosmos caudatus) is a popular herbal salad among the Malay. This is an annual plant that flower then die off. 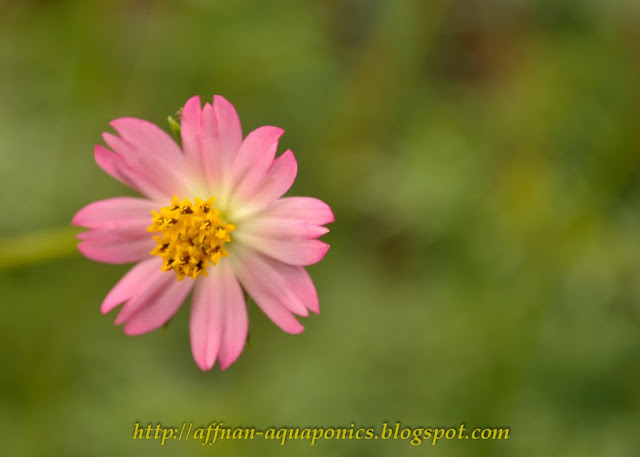 It has good medicinal properties, suppose to be anti ageing probably due to its anti oxidant properties. 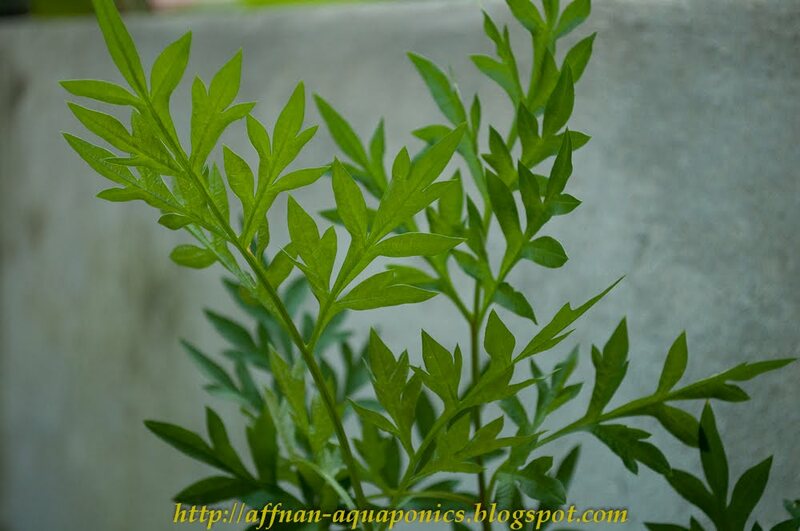 These plant the young leaves are eaten raw with sambal and its help in reducing bad breadth and body odour. 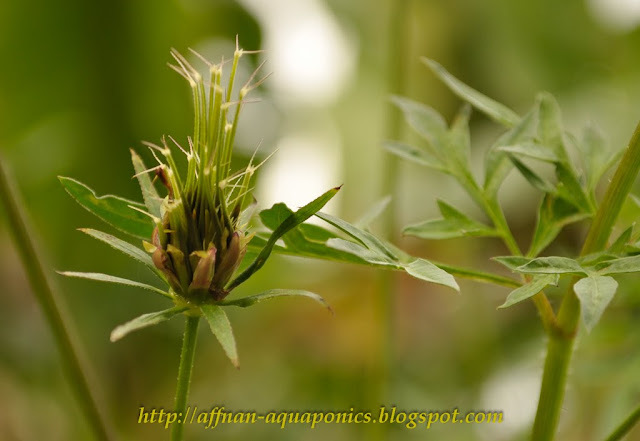 After flower pollinated they produce these seeds below, approximately 20mm long each. 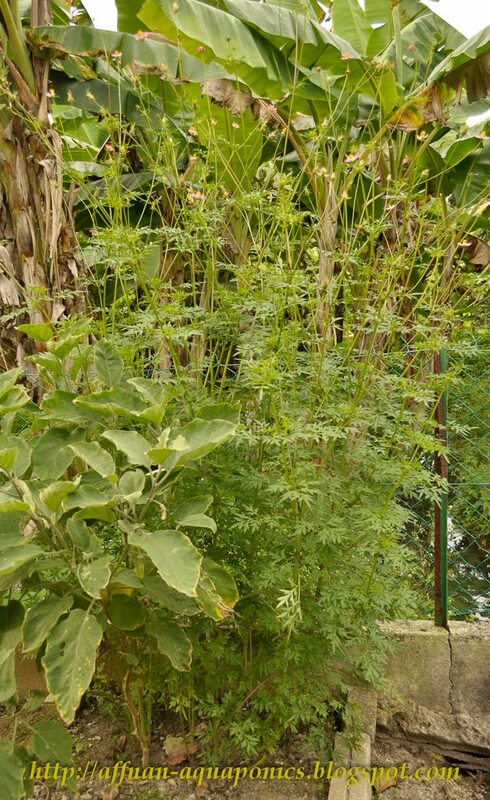 Seeds dried on the stalk and fall to the ground germinated into seedlings below. 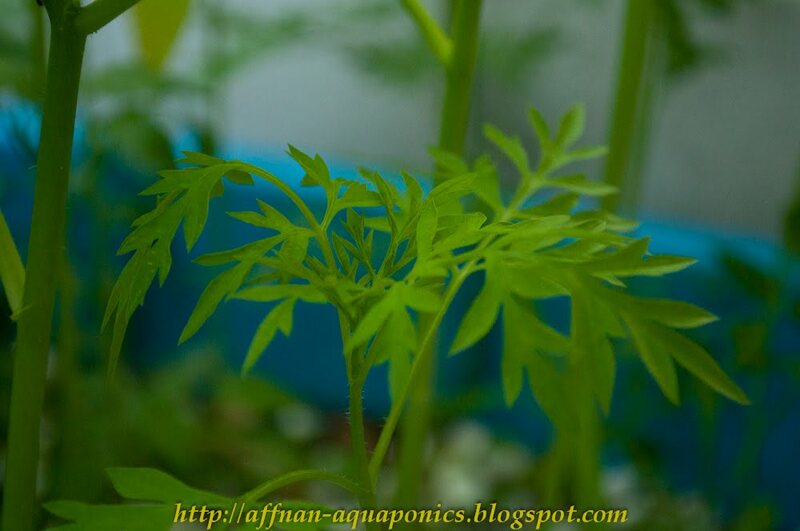 Below after about 1 week its leaves start to appear. and it does grow without problem. Below young leaves that we normally pluck from the plant to be eaten raw. Ulam Raja has a pleasant and refreshing smell. After young leaves plucked, new shoots will start to grow just below the cutting giving more young leaves for the taking. 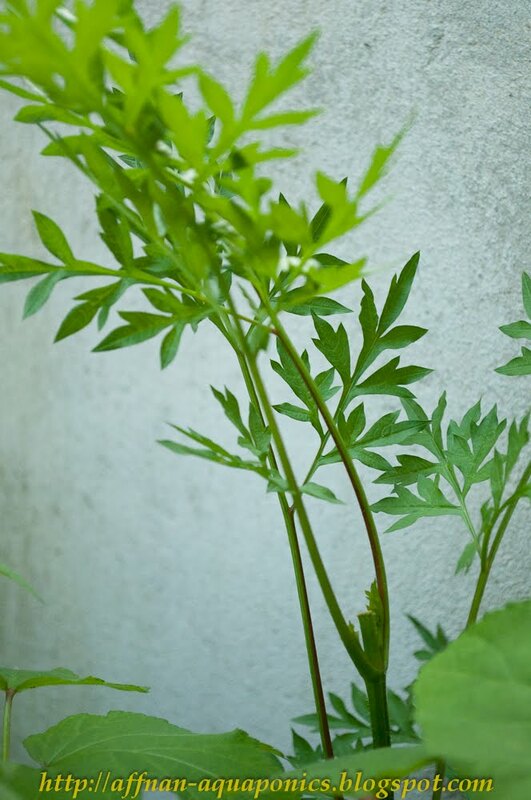 Older leaves not suitable to be consumed raw, they have a stronger taste slightly bitter. 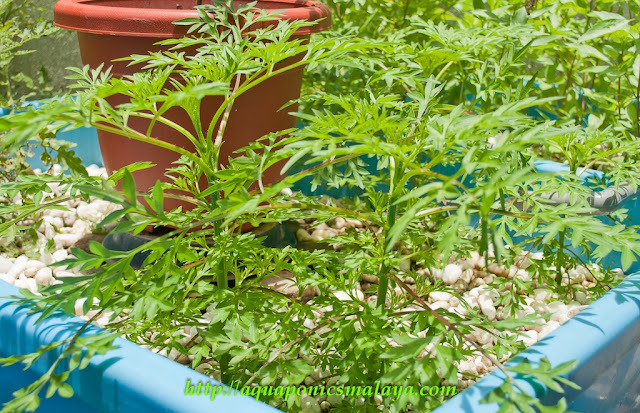 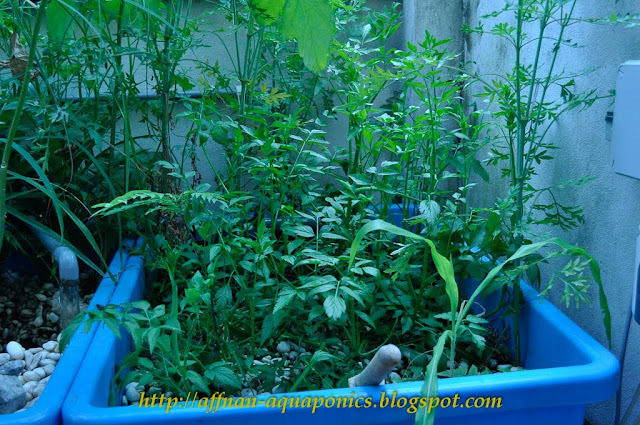 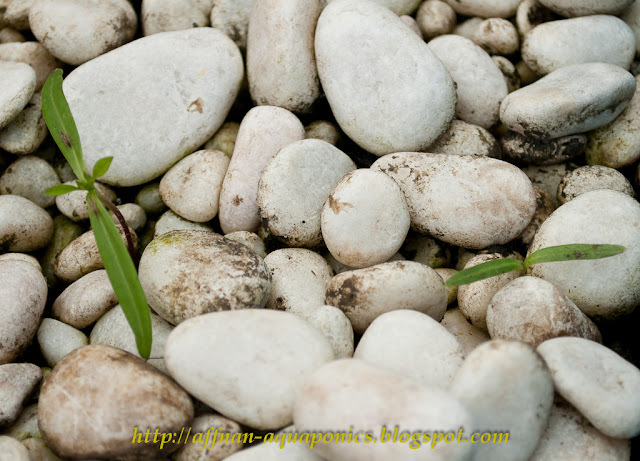 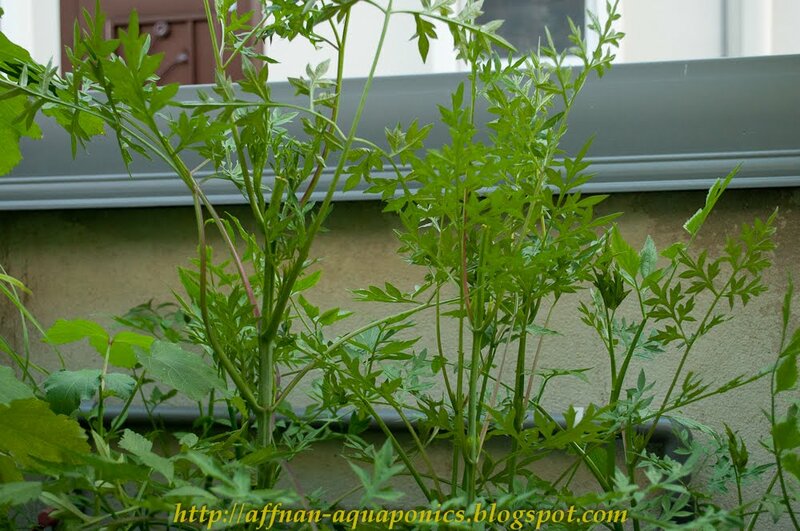 Below some of Ulam Raja plant in my Aquaponics set. 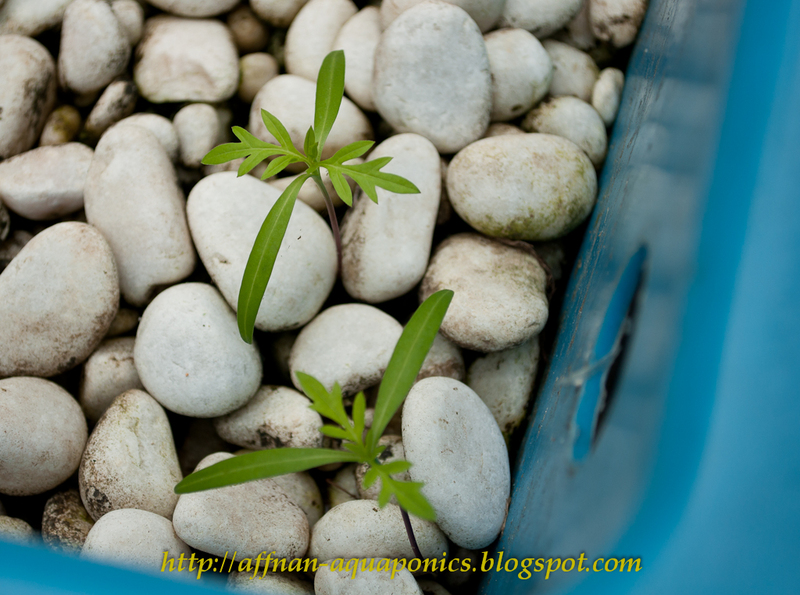 Fresh young leaves below picked from my patch with Mengkudu leaves underneath it.